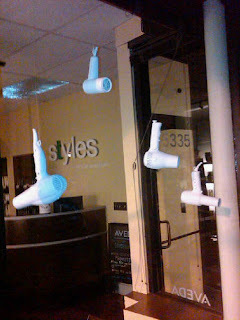 Featured Business: Styles Reviewed by Edgeville Buzz on September 17, 2009 . Looking for a good salon to get your hair cut, colored or styled? Check out Styles, an Aveda salon, located in Andersonville at 5335 N Clark just north of Summerdale between Balmoral and Berwyn. The prices are reasonable, and the stylists are fun and friendly and do a great job whether you are a man or woman. Walk-ins are accepted, but appointments are highly recommended.